NPCI already runs the new-age, hugely popular UPI system of payments, but now it’s looking to get even more cutting-edge. The National Payments Council of India (NPCI) is considering using a highly scalable solution to further strengthen digital payments, reports PTI. NPCI has also floated an Express of Interest (EOI) in order to enable bidders to propose their capability for developing distributed ledger technology/blockchain in the payment domain. NPCI has additionally invited bids for selection of Liaisoning Consultant to acquire various End-to-End Statutory permissions for Construction of Captive Data Center in Chennai and Hyderabad. “NPCI intends to develop a resilient, real time and highly scalable blockchain solution. It is proposed to develop this solution using an open source technology/ framework/solution,” it said in a notification. NPCI has seen some success in the recent past — UPI transactions have grown from just Rs. 3.1 crore a month in August 2016 to Rs. 1,33,000 crore a month in March this year. UPI transactions are now more than those for Mastercard and Visa put together, and the technology has been receiving some international acclaim as well. Fidelity National tracks 40 payments systems run by governments around the world, and UPI alone received a top score of 5 for innovation and customer value. In comparison, China’s Internet Banking Payment System scored a two and Kenya’s PesaLink scored a four. The criteria for the score included round-the-clock availability, speed of settlement and level of government or regulator support. What makes this even more impressive is that NPCI isn’t a high-flying startup — it is a government-supported body. NPCI is jointly promoted by the Reserve Bank of India and 10 Indian banks, and is also a regulator for India’s fledgling payments space. However, as it’s shown with UPI, it isn’t averse to trying out new technologies. Regulators across the world have been hinting that while they might not feel as strongly as bitcoin and other crypto-currencies, they’re willing to bet on its underlying technology, the blockchain. 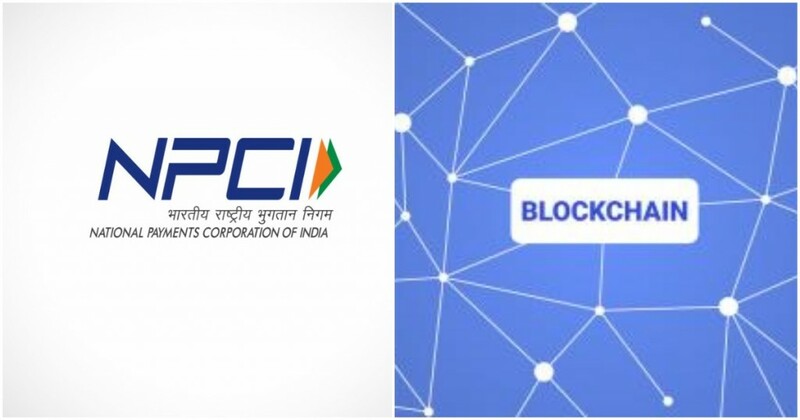 And while there aren’t too many blockchain enabled payments systems operated by regulators are that currently running at scale, with its latest notification, NPCI has indicated that India will likely be right in front of the pack if at some point such systems do become commonplace.